A judge has given them six months to sell the property “before the bank does”. NOEL AND AILEEN Gilson, parents of TV presenter Glenda Gilson, lost their €1 million Dublin home to Shoreline Residential DAC today. The investment fund refused a final offer of €303,000 to settle their outstanding debts against their mortgage. Judge Jacqueline Linnane said in the Circuit Civil Court that she considered the €800,000 valuation the Gilsons had put on their Castleknock home as “conservative” and advised them to sell it before the bank did. Judge Linnane said the outstanding liability against 16 College Gate, Castleknock was just under €400,000 so there was still substantial equity left in the property. She said that if Mr and Mrs Gilson sold their home now they would still be left with enough to trade down to a mortgage-free smaller home and pay off their debt. The judge granted the couple a six-month stay on her order for possession to the bank to give them time to sell the property themselves “before the bank does in six months time”. Barrister Rudi Neuman, counsel for Shoreline Residential, told the court that the Gilsons had offered to pay €303,000 against the outstanding debt consisting mainly of repayment arrears on their loan but this had been refused by the bank. The Gilson’s four-bedroom three-bath house is currently listed for sale on Daft.ie for an asking price of €830,000. They had initially offered €150,000 to settle the debt which then stood at more than twice that figure. Last moth their counsel Aoife Beirne said they were prepared to make an increased offer of €275,000. This was declined as was Friday’s new offer of €303,000. Neuman, who appeared with Beauchamps Solicitors, said he had been instructed to proceed with the bank’s application for possession of the property and told the judge Shoreline Residential was prepared to agree to the court granting a six-month stay to the Gilsons. The court heard that Mr Gilson, now a retired painting and decorating contractor, had bought 16 College Gate in 1992 and built the house on the site himself. He and his wife, both of whom are now pensioners, had borrowed €300,000 in May 2008 to be paid back over a period of 10 years. The purpose of the 2008 loan, due for full repayment in May, had been to refinance an existing mortgage and clear an outstanding €100,000 liability in respect of Mr Gilson’s business. “While I appreciate the defendants have health difficulties the 2014 warning notified them things had to be addressed. It was quite clear that this mortgage was unsustainable and, by not addressing the problem, arrears mounted. I am now told that arrears alone amount to €391,000,” Judge Linnane said. The judge said that had the Gilsons taken steps much earlier they would have ended up with even more equity than now remained in the property. That had now been greatly eroded. Judge Linnane, granting the bank possession, said she would grant a six-month stay which would give the defendants ample time to sell the property. The longer things went on, the more arrears would increase and equity fall. Trading down would relieve some of the stress Mr and Mrs Gilson complained of, she said. Shoreline Residential was granted its legal costs for court applications going back for years, which is certain to amount to a significant figure on top of the existing debt. Email “Glenda Gilson's parents lose Dublin home due to debt ”. 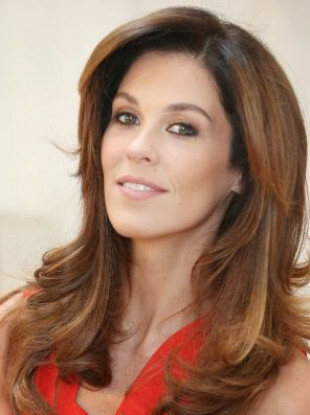 Feedback on “Glenda Gilson's parents lose Dublin home due to debt ”.